NMB Community Band – 5th Annual Pops in the Park: America, The Dream Goes On! 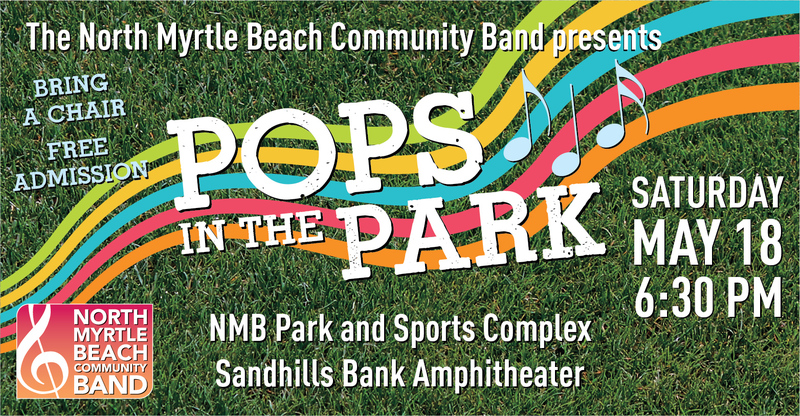 The North Myrtle Beach Community Band proudly presents the 5th Annual Pops in the Park concert on Saturday, May 18 at 6:30pm. So be sure to bring a chair or blanket out to the North Myrtle Beach Park and Sports Complex Sandhills Bank Amphitheater on Saturday, May 18th at 6:30pm to enjoy this FREE Concert. Register for Event: 5th Annual Pops in the Park: America, The Dream Goes On!